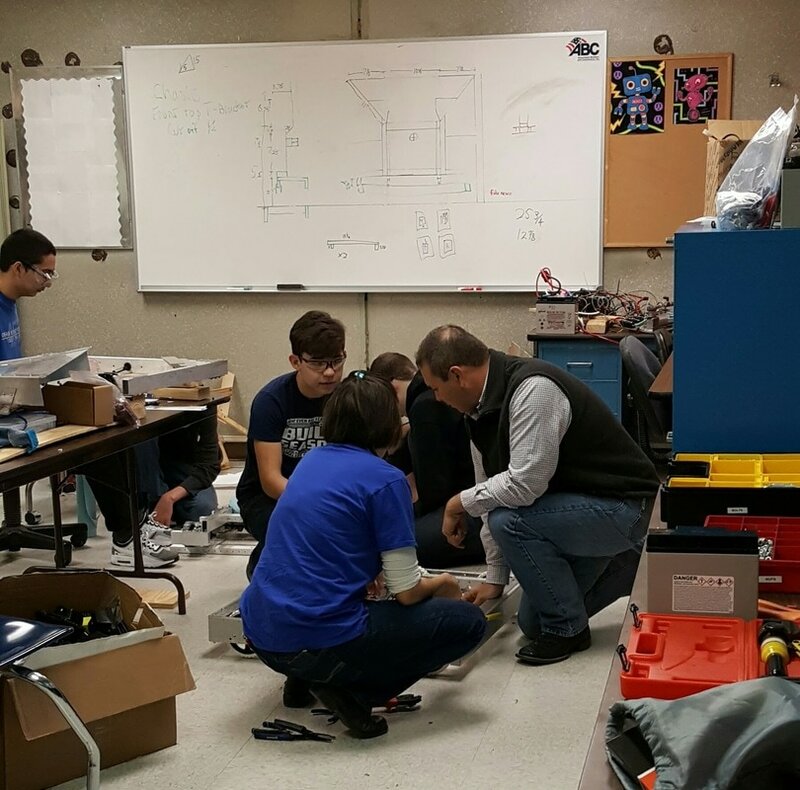 "...so​ if we can put engineering, science, technology into a format of healthy, fun competition, we can attract all sorts of kids that might not see the kind of activity we do as accessible or rewarding." 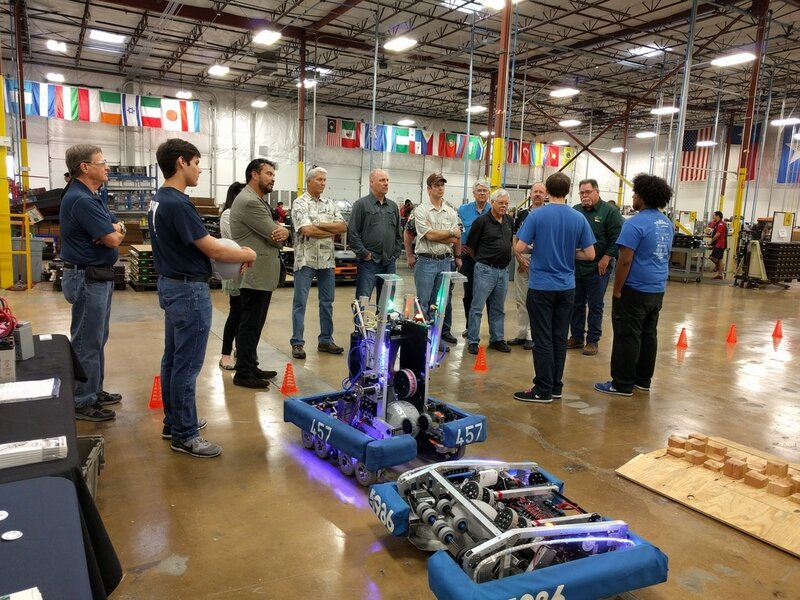 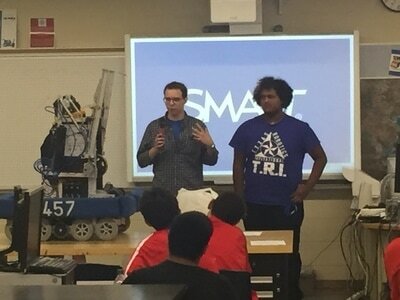 ​Our goal is to reach out to our community and fellow robotics team to encourage an interest in STEM by exposing them to the fun of Robotics. 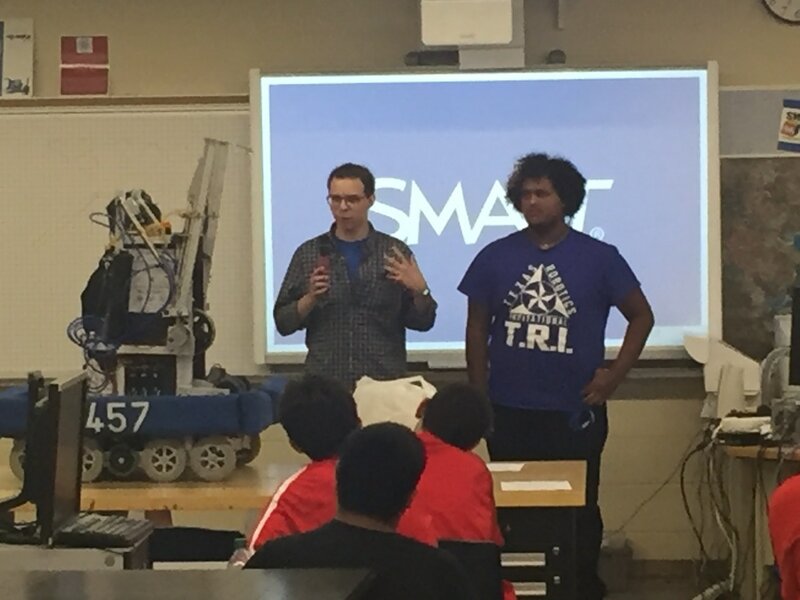 Our Team Captain Coleman and Build Team Lead Henry at REACH event at Roosevelt High School. 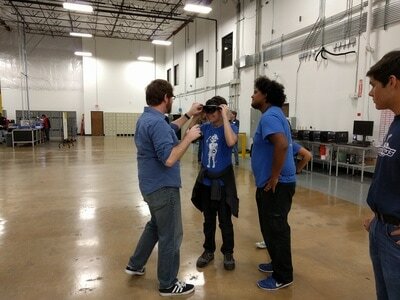 Programming Team Lead Ben enjoying virtual reality goggles at PSI. Working with Robocats, FRC team 6684.